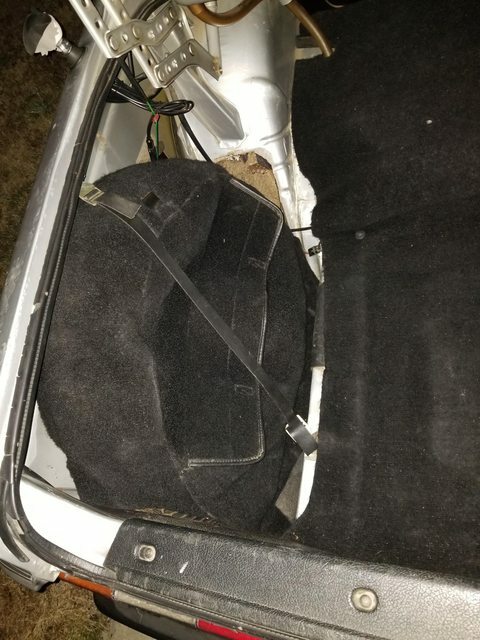 I'm looking to mount my spare tire and jack in the factory locations, I located a spare tire strap (I don't have it yet, the pictured one is a military surplus strap), and have a nice cover for the spare, where was the jack supposed to go? My spare is a 17" but I think everything will still work. I know its easy to wrap the jack in a rag and stick it behind the spare, but curious what the factory did. I guess no one knows? Bought an owners manual for my specific car on ebay since no one has any idea. Guess you guys let them bang around loose, or more likely don't have a functional factory jack since they have all been crushed shut by idiots...I would like to make everything non performance related to be like close to showroom new. Not sure what factory did but mine is kept in the spare tire cover pocket. The spare I have is only like a 14" or 15" inch so everything sits nicely in there. I tuck the handle in between the spare and cover. 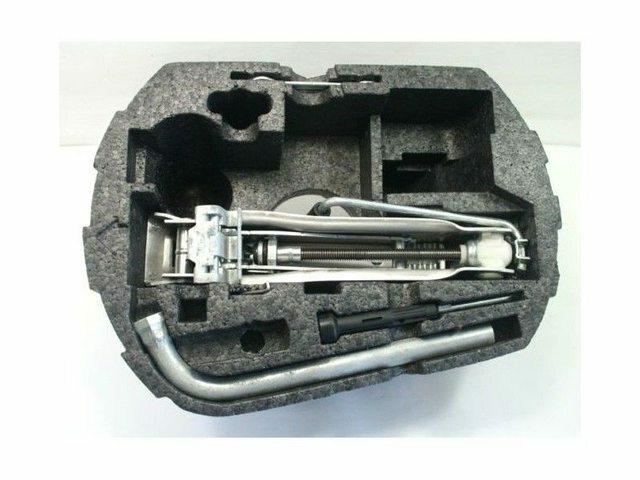 Don't hear anything clanking around in the trunk when driving. Wait a second. Safety on turbobricks? Our cars are held together with zipties and jb weld. Hmm, mine fits in there as well, maybe thats where it goes. The factory cover fits over my 17" spare tire so no problems there. I was hoping to stuff it full of tools . Thanks for the response! I know on some newer cars they have molded Styrofoam for the jack and handle that sit inside the spare tire. 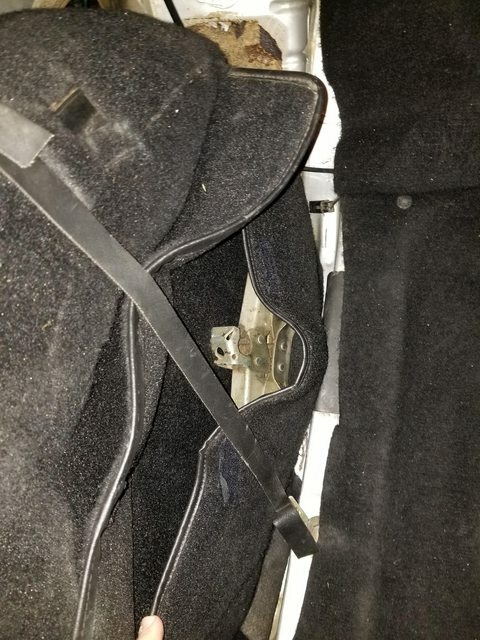 My '03 GTI had one that held everything neatly, might be worth a shot seeing if something like that would work. Jack always fit upside down between wheel and the chassis "frame rail" from what I remember. Handle goes in first with the jack next, sort of trapping the ends of the handle under the jack. I'll add a picture later. Ah, so the outside of the rim faces the quarter panel. My spare would have rim to quarter panel contact. Guess I'll have to do something else then. 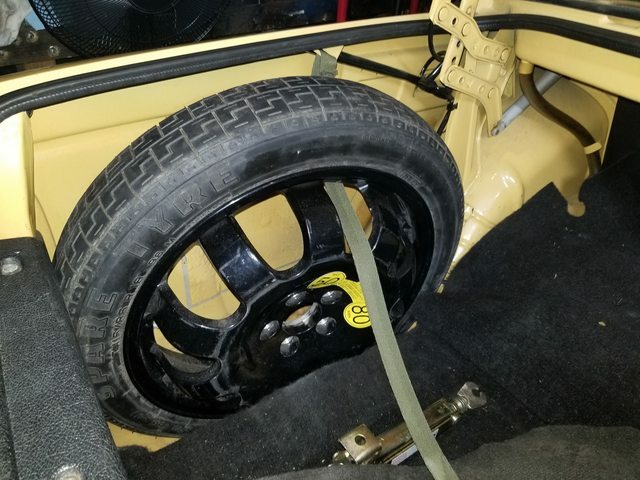 I install my spare tire with the outside rim facing the 1/4 panel. The jack is placed next to the rim sideways so the "hook" fits into the rim groove and the flat section rest against the foam pad. I then just "open" the jack enough so it is tight against the rim. Nothing moves or rattles. The handle gets wedged between the tire and jack. The tire cover covers everything and the rubber strap is snaked under the tire cover. All you see is carpet. Is 19 cars too many? Shouldn't a 242 have the column jack instead of the scissors one? Spare goes in with the pretty side toward the fender sheet metal, jack lays in the crack between the spare and the trunk, strap goes through the cover and over the whole thing. Yup, I got my owners manual which shows a pic, and since I have the "wrong" jack and the spare from an S60R this question was doomed from the beginning. 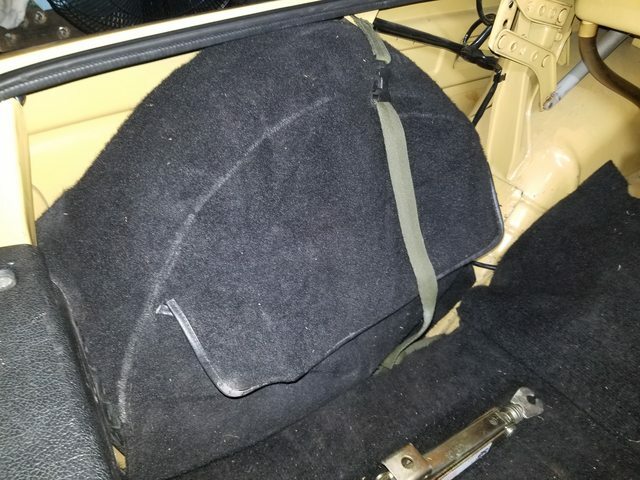 I ended up facing the spare to the outside (with some cloth between because it was metal on metal), stuck the jack in a couple old pillowcases, putting the cover on and strapping it in. I prefer the scissor jack, it seems like the most stable when used properly. Don't forget to add a set of gloves so you can keep your hands clean.